Thank you perfume_empire. Package nicely packed and delivered as promised. Smells great. Quick shipping. Thank you. Понравился. Всем советую пользоваться ! Verified purchase: Yes | Condition: new | Sold by: oh-de-parfum! 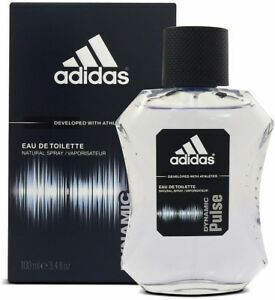 My son just started shaving and I bought him a starter Adidas pack and he immediately took to this scent. Light and airy, it compliments but does not overpower. A great scent for anyone...young or old. It's good stuff - book it! My husband wore this when I met him; I am happy to replenish it so he continues to smell so yummy!